Cellist. Musician. Improviser. Music director. Noise maker. Audrey Riley is known for her work as an arranger and session ‘cellist. As a 'cellist, Audrey focuses on contemporary and experimental performance. She has commissioned new music for 'cello, championed unknown composers, collaborated in composition, and favoured experimentation and improvisation over mainstream work. Dance companies have been a natural home. These include Royal Ballet, Scottish Ballet, Random, Dance, Siobhan Davies Dance Company. She was the ‘cellist for the Merce Cunningham Dance Company (MCDC), from 2001 until 2011, performing works by John Cage, Christian Wolf and Gavin Bryars. This allowed her to work with, and learn from, Takehisa Kosugi, Christian Wolf, John King, Bryars, Emanuel Pimenta and other MCDC composers. Since 1989, Audrey has been 'cellist with Icebreaker, a contemporary music ensemble, and she is currently the group's MD. Many composers have written works for her to perform as a soloist, including David Lang, Emanuel Pimenta, Jonathan Eato, Craig Vear. Gavin Bryars composed two pieces for her: Lauda (con sordino) and Tre Lauda Dolce. Craig Vear wrote Black Cats And Blues, a Hypermedia Concerto for Cello and Digital Technology, for her. She regularly performs with James Woodrow in 'cello and classical guitar recitals. Audrey Riley is currently exploring new avenues of her playing and improvisation as part of a PhD at De Montfort University. AR Records is a small independent label, which Audrey set up in 2010. The purpose of the label was for Audrey to release contemporary recordings by herself and her associates. The label artwork is in collaboration with Toby Cornish of Jutojo, a design institute in Berlin. Since 2014, Audrey has been engaged in research as part of a PhD at De Montfort University, Leicester. She is investigating her own performance practice. Specifically, what changed in her practice during her ten years with the Merce Cunningham Dance Company (MCDC). 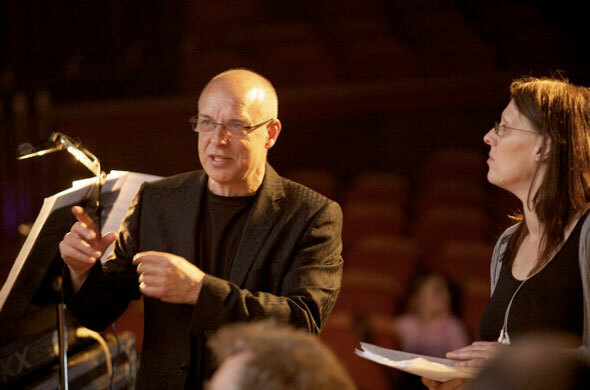 MCDC composers such as Takehisa Kosugi, Christian Wolff, Gavin Bryars, helped guide her during this time. 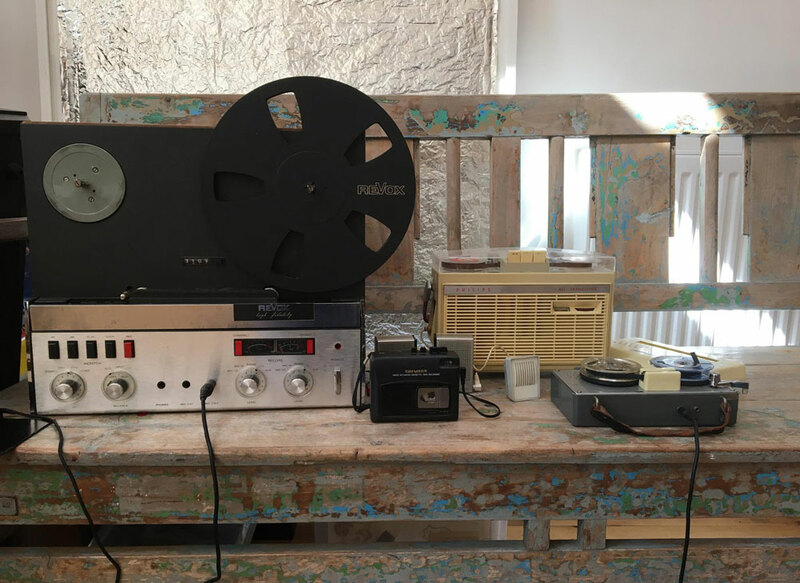 Audrey's investigations encompass the performance of works by John Cage, Wolff, Morton Feldman, Earle Brown and Merce Cunningham related composers. The DMU programme for 2017 centred on Christian Wolff, in MicroExercises and Moving Spaces. 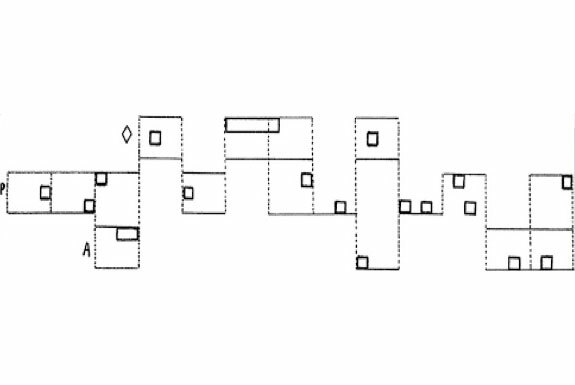 Also included where Feldman’s Intersection IV, solo works for piano and guitar by Wolff, and Earle Brown’s Folio and Four Systems. Audrey was joined by musicians Andrew Zolinsky, James Woodrow, Craig Vear and Greg Warren Wilson, with Sally Doughty (dance). A Change of Light [ACOL] was a music/visual art collaborative performance project by cellist and arranger Audrey Riley and the pianist Andrew Zolinsky. 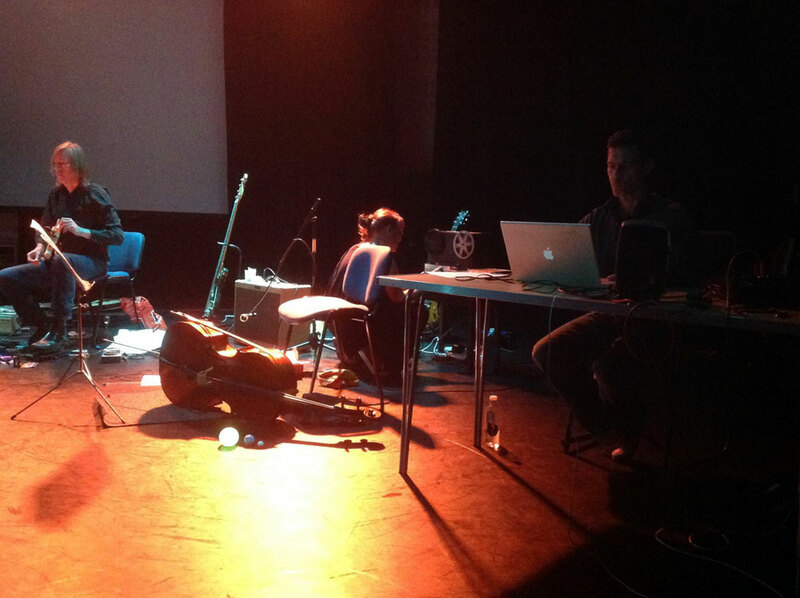 The project became a multi–disciplinary collaboration between new music composers, musicians and a visual artist. 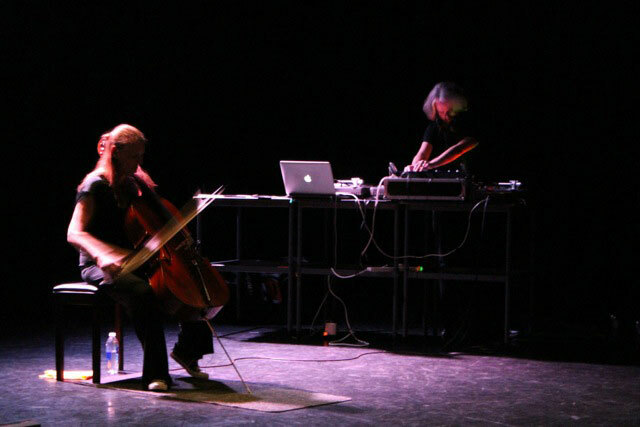 Riley and Zolinsky formed the duo in 2001 from a desire to commission and perform new works for 'cello and piano, and to follow the threads of their work together in the group Icebreaker, alongside other composers. Joined by the guitarist James Woodrow (Gavin Bryars Ensemble and Icebreaker), and the drummers Nick Allum (Fatima Mansions, Triffids, Cathal Coughlan) and Rob Allum (Turin Brakes, High Llamas), and the visual artist Philip Riley. 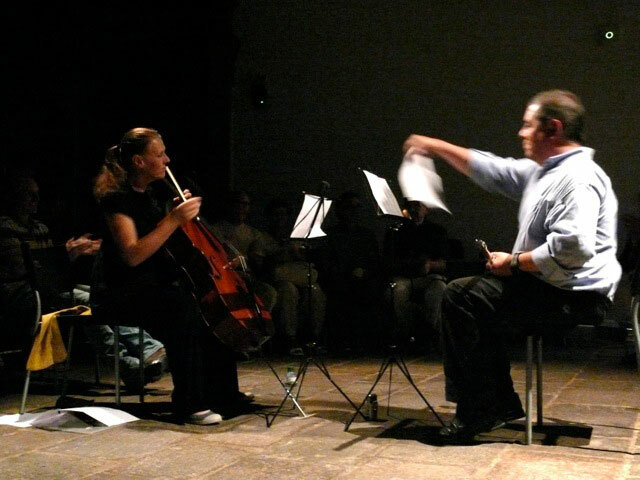 The first performances – financially assisted by the Arts Council England, East Midlands Arts and the PRS for commissioning and performance – were at The Djanogly Recital Hall, Nottingham and The Warehouse, London, in October 2002. A Change of Light's live performances were devised in collaboration with visual artist Philip Riley, whose computer-animated projections explore the nature of hearing. Audrey often guests with the Gavin Bryars ensemble. 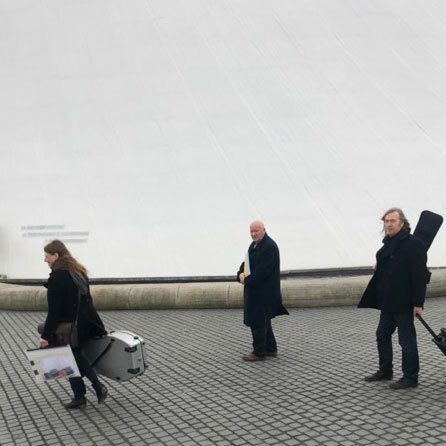 These appearances include: With Gavin Bryars at Cafe Oto series, January 2018; Sinking of the Titanic, Hanover, Autumn 2016; Robert Swinston and CNDC Angers in BIPED. Cafe Oto series, 2018, pictured top. 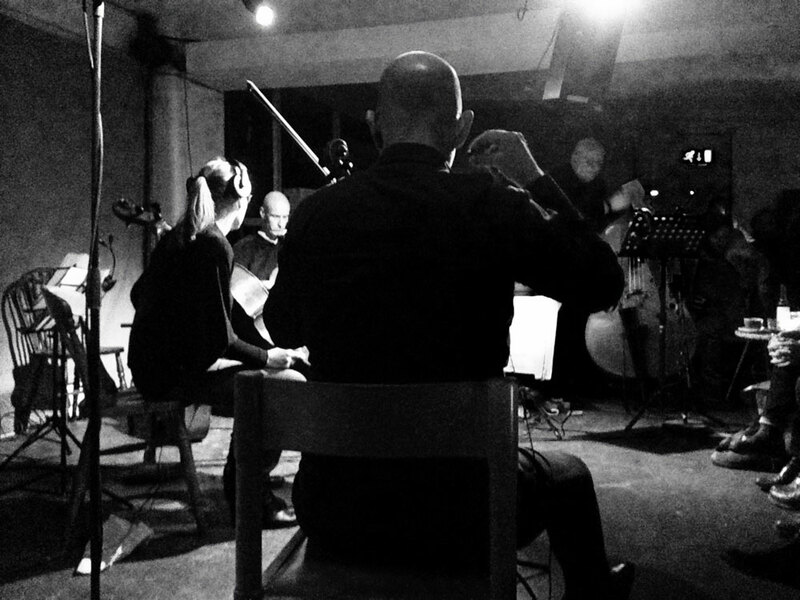 Gavin Bryars and the ensemble, with Audrey as guest. Pictured below, Beach Birds / BIPED. Gavin has written two pieces for Audrey: Tre Laude Dolce (2007) and Lauda (con sordino), (2003). Both have been recorded and are available from AR Records. Other collaborative works include: Archangel Trip for Icebreaker, 1992. 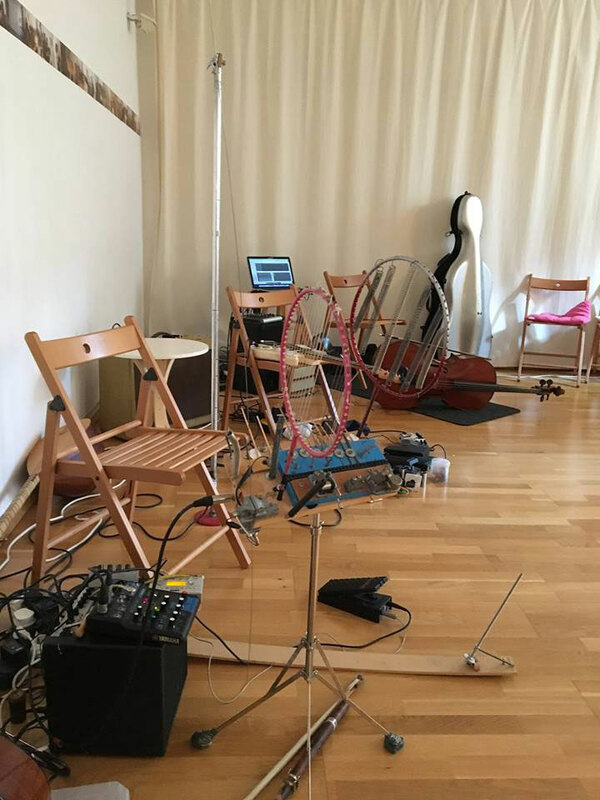 Lauda Rubata a Tre for guitar, cello and bass clarinet, premiered in York with James Woodrow and Roger Heaton, 2015. Burroughs for We Are Children (We Make Sound), 2015. Audrey has been the cellist with Icebreaker since 1989. She has been the groups MD since 2009, directing the projects Apollo and Kraftwerk in conjunction with the Science Museum. As part of Icebreaker, she has performed Andriessen’s de Snelheid at Kings Place and Huddersfield Festival, and completed arrangements of Scott Walker’s Epizootics and Barry Adamson’s Moss Side Story. 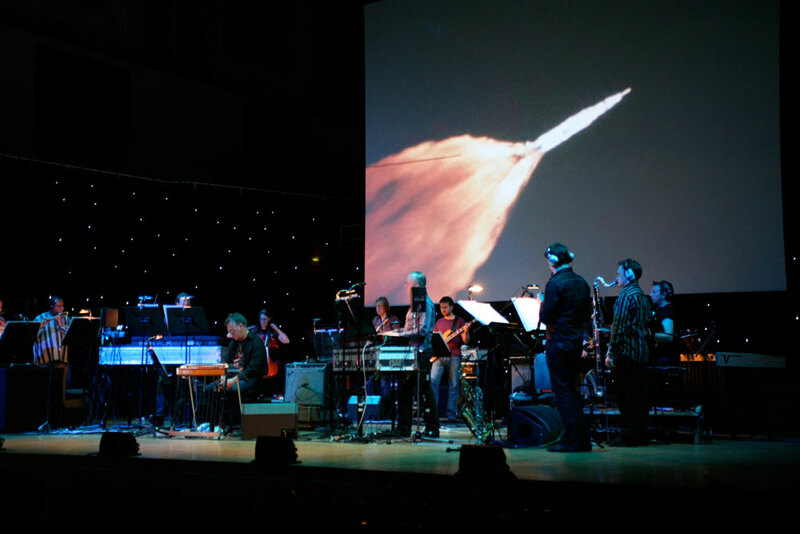 Pictured above is Brian Eno’s Apollo, performed alongside the film For All Mankind by Al Reinart, at the Science Museum, London, 2009, in celebration of the 40th anniversary of the moon landings. 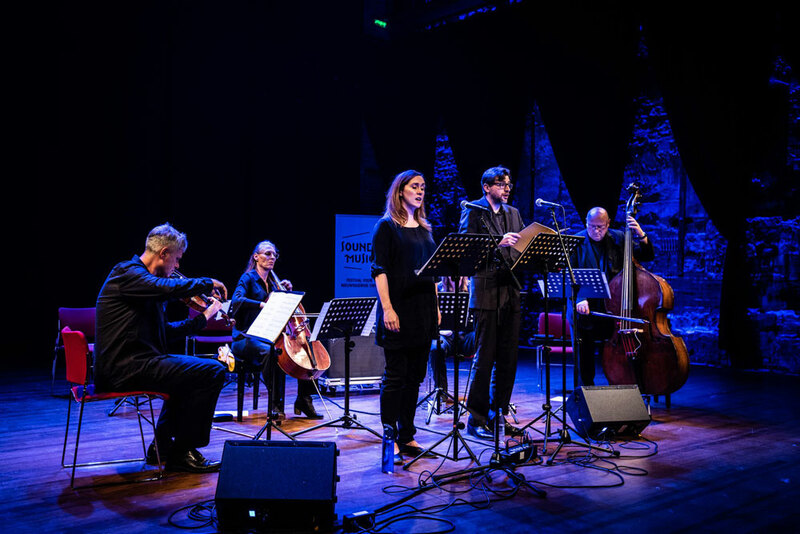 Below: Audrey Riley with Icebreaker accompanying Brian Eno in arrangements of a number of his songs, at an award winning performance during the Brighton Festival. Audrey met Emanuel Pimenta, a Brazilian-Portuguese musician, while performing one of his compositions with the Merce Cunningham Dance Company. Emanuel has since become a friend and colleague, and has written four pieces for her. 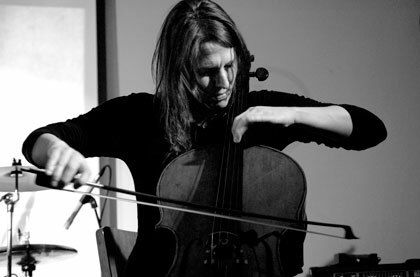 These include: Kepler’s Vestiges, for solo cello, which was premiered in 2007; Collision, a duo for flute and cello, performed at an anniversary celebration of the work of John Cage in Barcelona in 2012; and Terra, an extended piece in three movements for solo cello, which premiered in Leicester 2017 and toured through Europe. In 2018 Audrey premiered Metanoia at the Monastery of Batalha, Portugal. 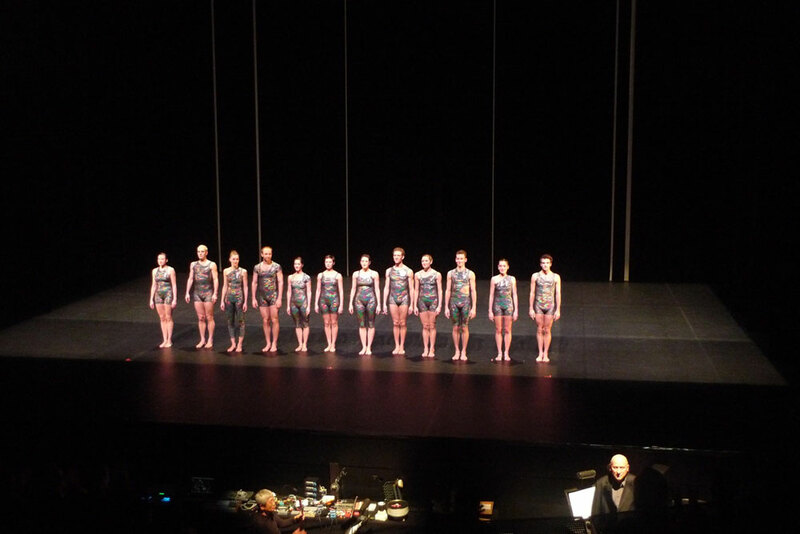 Between 2001 and 2011 Audrey was a guest musician with New York's Merce Cunningham Dance Company. 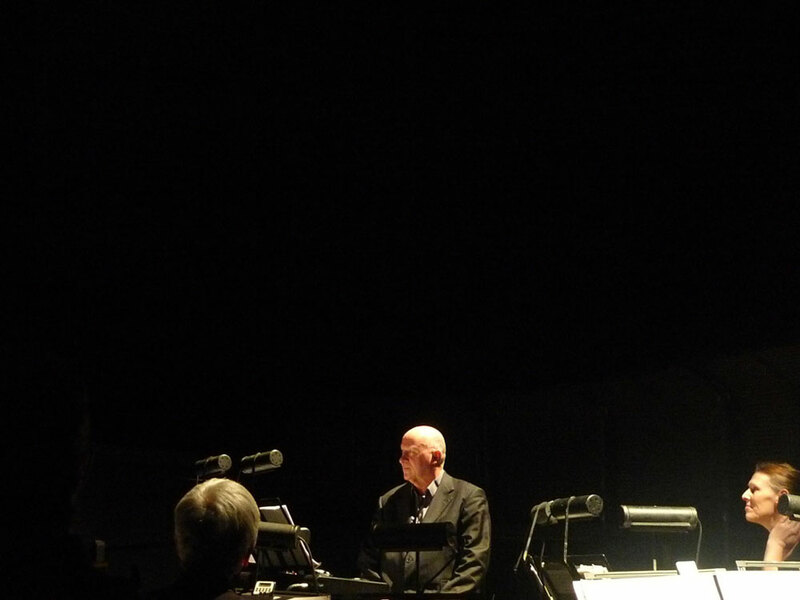 She performed BIPED, a commission from the composer Gavin Bryars, which she performed with James Woodrow. 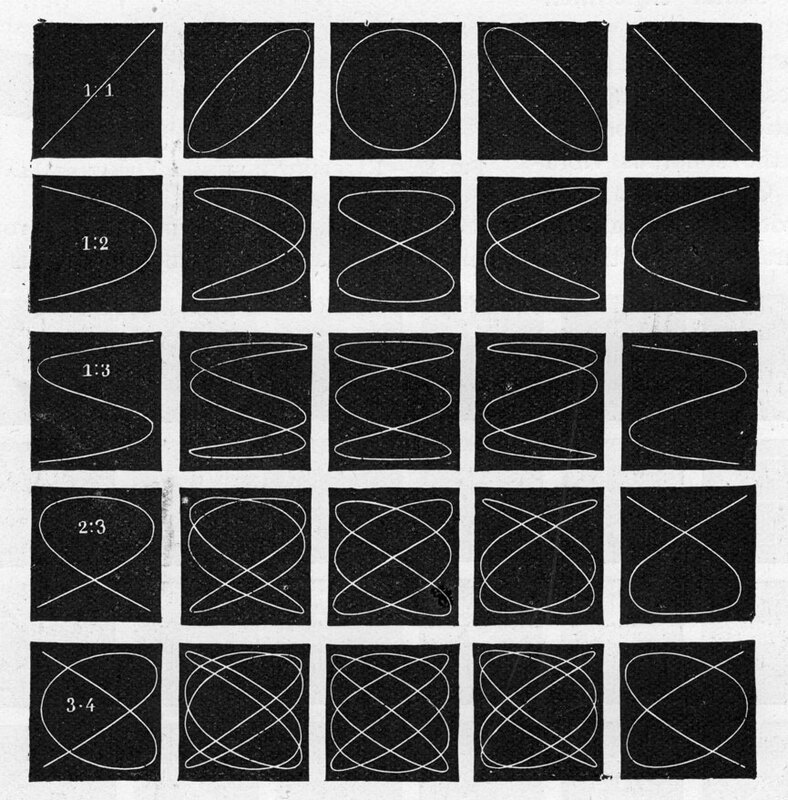 Audrey's other works with Merce Cunningham include Christian Wolff, Takehisa Kosugi, and John King. To this day, Audrey continues to perform BIPED with Gavin Bryars. 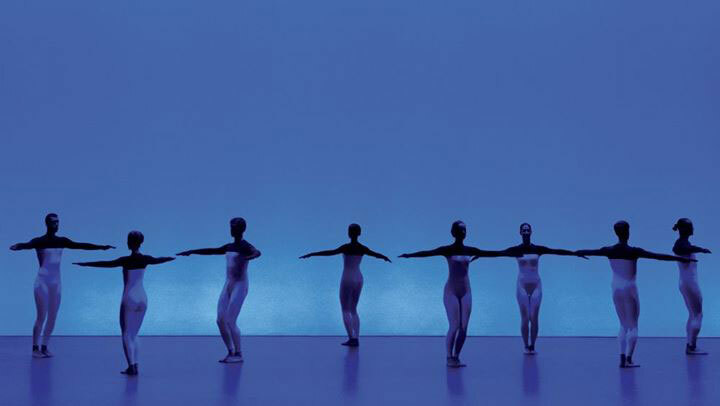 Top: Takehis Kosugi, Gavin Bryars & Audrey Riley in the pit during the Merce Cunningham Dance Company's final repertory performance. Theatre de la Ville, Paris. Some of Audrey’s other special projects and solo performances. 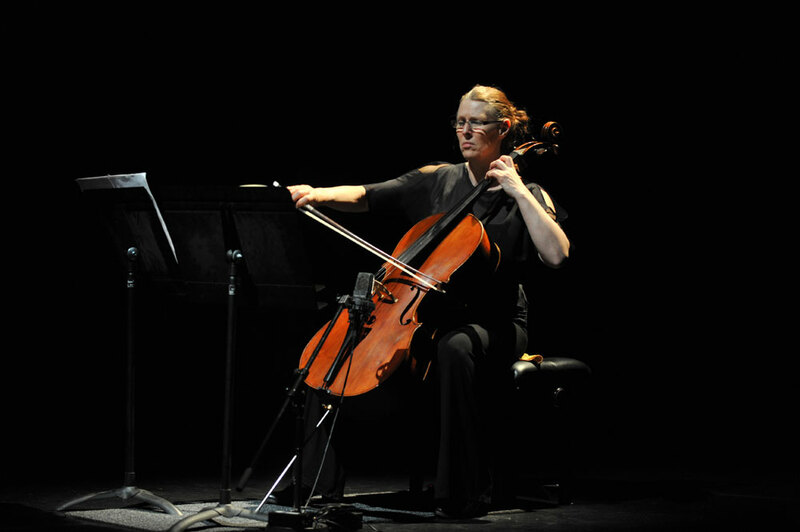 Audrey, pictured above, performing the Bach cello suites, with special inserts by Jon Eato, with the Jacky Lansley dance company in Guest Suites. Audrey has been involved in developing, and performing in, a 'cello and locked grooves project with James Kelly. 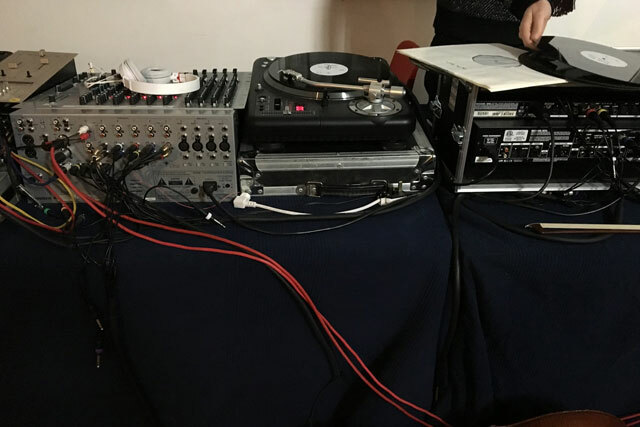 The project is built on improvised recordings and performance. Performance photo by James Andean. 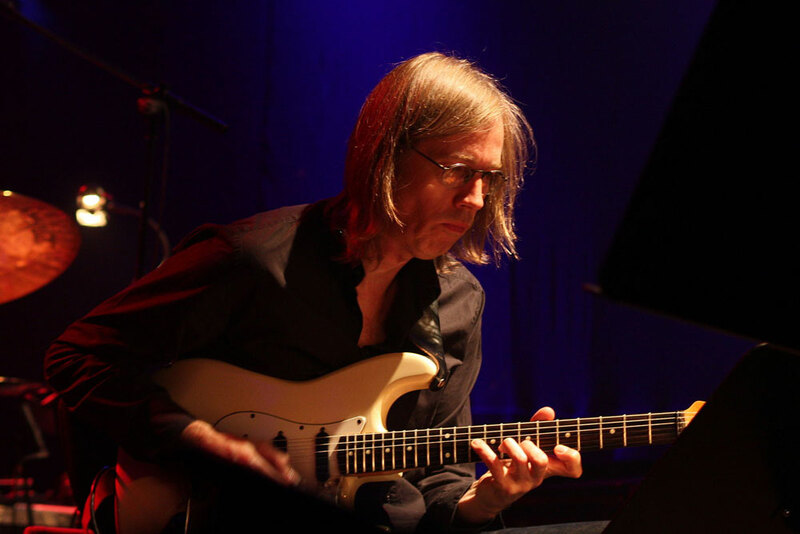 Guitarist James Woodrow (pictured above) has been Audrey's duo partner for 25 years. 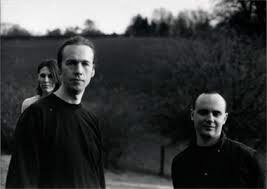 Together they give recitals, perform for Gavin Bryars and Icebreaker and toured with MCDC for 10 years. 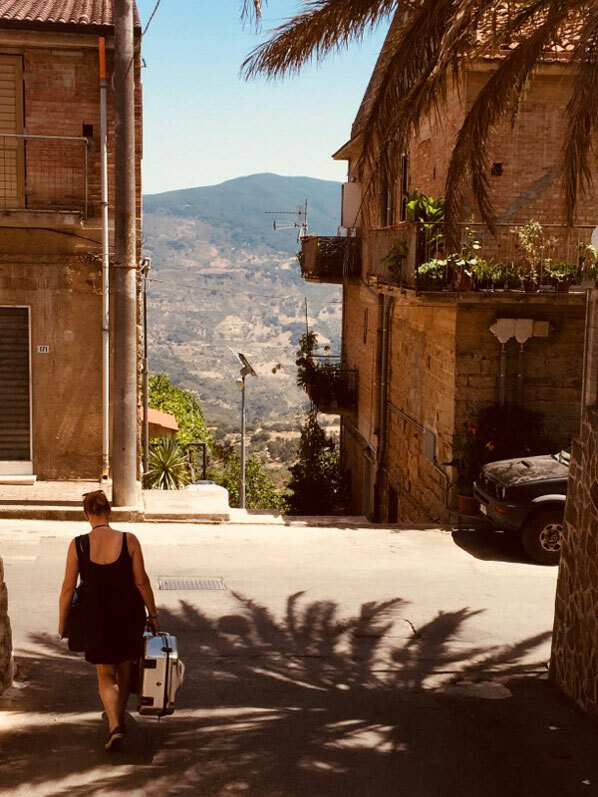 During the summer of 2017, acompanied by Woodrow, Audrey made an extended trip to Europe, taking with her a programme, and Gavin Bryars Tre Laude Dolce. The pair drove to Sicily and back, performing all the way, finally performing under the stars on a mountain top in Sicily. Improvisation setup, Munich 2017. 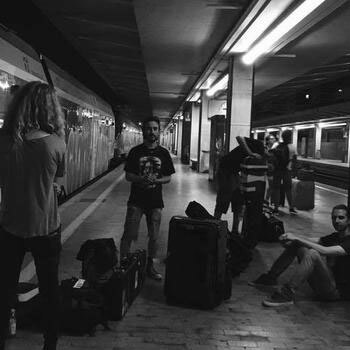 A stop off on the way to Sicily for a spontaneous improvisation with musicians. We Are Children (We Make Sound) is a composers collective. Formed in 2011, it consists of students from Audrey's composition module at The Institute of Contemporary Music Performance (ICMP). The group has released two recordings on AR Records. For more information, see wearechildrenwemakesound.com.